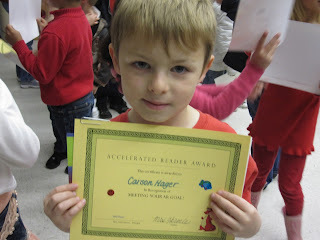 Carson was very surprised to see us this morning! 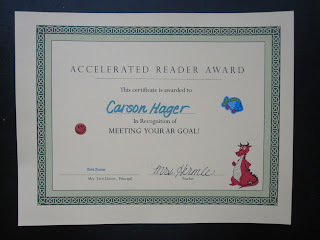 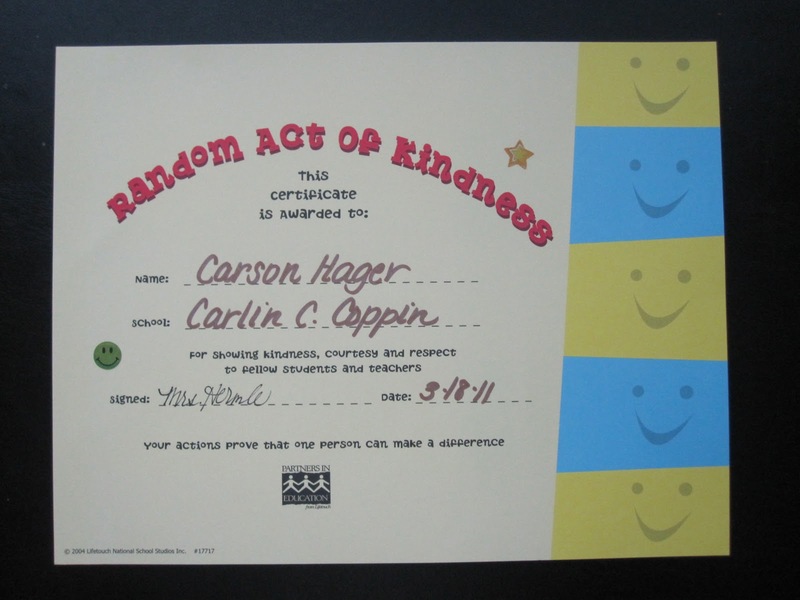 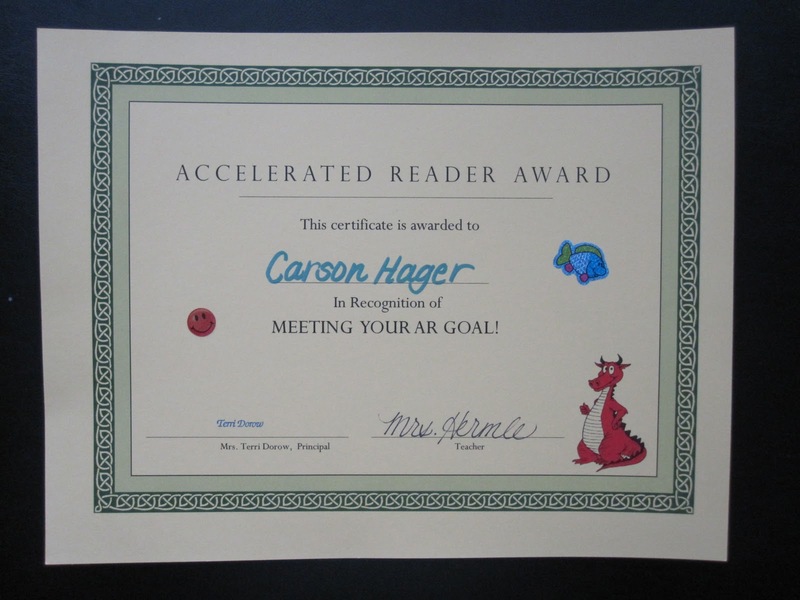 Accelerated Reader Award- He was the first kid in his class to meet his reading goal! 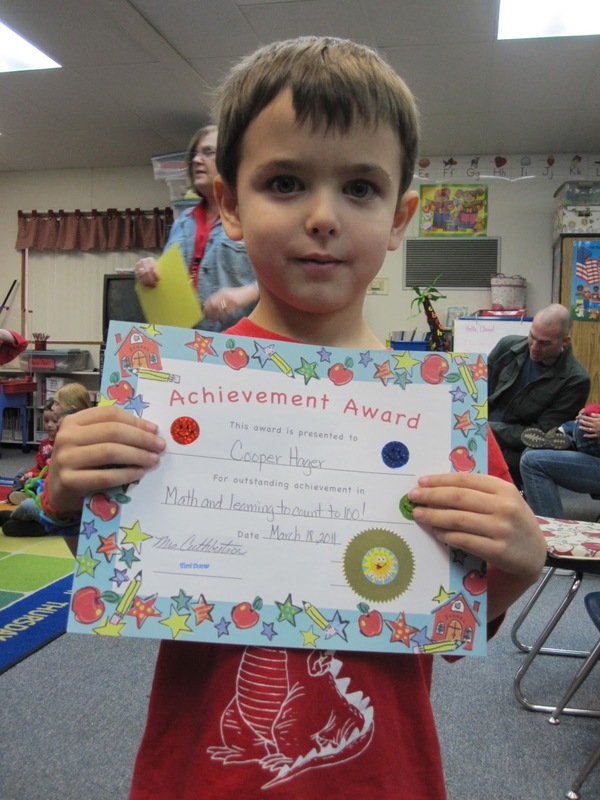 Cooper was also very surprised when we walked into his classroom! 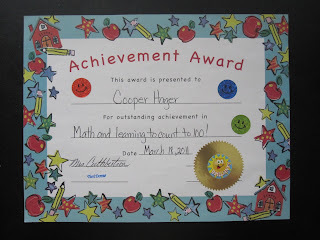 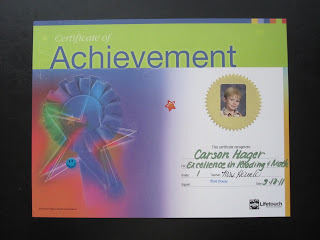 Outstanding Achievement in Math and Learning to Count to 100!